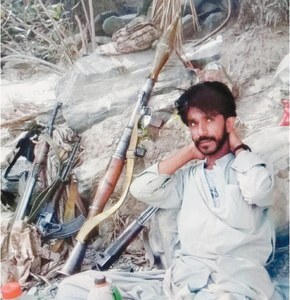 Two "terrorists" from banned organisations were apprehended by the Frontier Corps (FC) Balochistan during an intelligence-based operation (IBO), an Inter-Services Public Relations press release said on Friday. 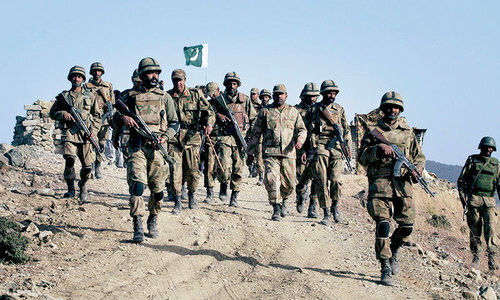 The IBOs, part of Operation Raddul Fasaad, were carried out in Uch, Dera Bugti, Gulistan and Dera Murad Jamali areas. 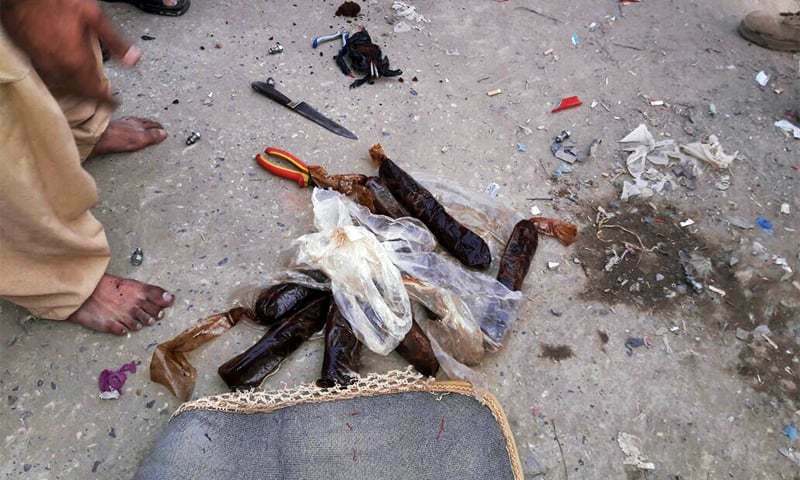 The FC also recovered improvised explosive devices (IED), grenades, ammunition as well as 46 kilogrammes of explosives. In a separate operation, forces found a motorcycle rigged with IEDs in Dera Murad Jamali. The explosives were defused by security personnel. Well done. Wipe them out. Imagine the damage 46 kilograms of explosives can do.